Varda/ Pardiñas Mosaic in Marinship Park. While enjoying the recent Sausalito Art Festival, I paused to hear some music at the Artist Stage. That’s when I noticed the towering mosaic mural that formed the backdrop of the stage. The mural has been a fixture in Marinship Park since 1988, but time has taken its toll, and the 23-ton structure needs extensive repairs. In 1960, Sausalito artist Jean Varda was commissioned to design a mosaic for the new Villa Roma Hotel in Fisherman’s Wharf. Varda (1893-1971) was born in Izmir, Turkey but had close ties to the modernist movement in France and England. He moved to California in 1940 and spent the war years in Big Sur and Monterey. He moved to San Francisco in 1947 to teach at the California School of Fine Arts (now the San Francisco Art Institute). That same year, while wandering around the Arques shipyard, in Sausalito, Varda and another artist came upon an old ferryboat, the Vallejo, which had been towed to the shipyard from Richmond and was scheduled to be torn up and sold for scrap. The two artists bought the old ferryboat and remodeled it. Around 1960, Zen philosopher and writer, Alan Watts moved aboard, and the Vallejo became the epicenter for the burgeoning waterfront art colony. Today the Vallejo remains moored off Gate 5 Road in area now designated as Varda Landing. 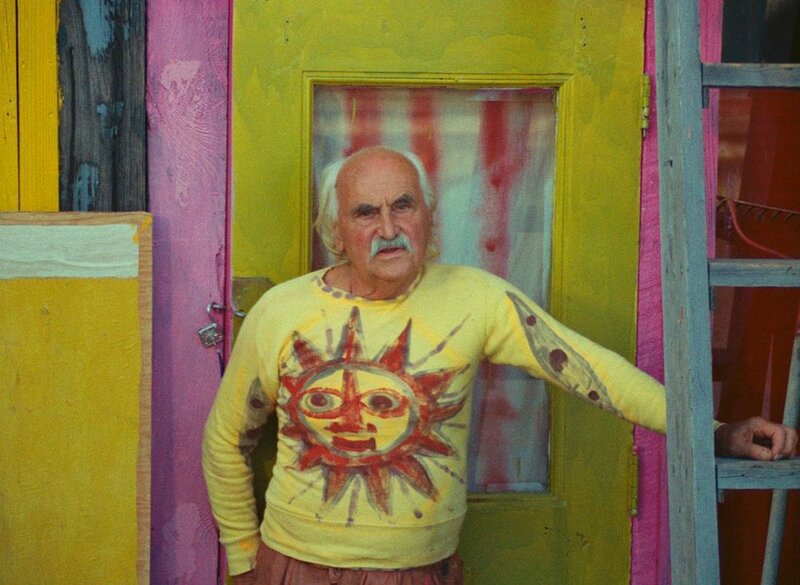 Varda was a colorful figure, in his art and in his life. He was best known for his collages and mosaics, often made from found objects. The Villa Roma mural was actually executed by Alfonso Pardiñas, an artist who shared Varda's interest in integrating mosaics and other decorations into architectural designs. According to the website of the Sausalito Foundation (www.thesausalitofoundation.com), when the hotel was slated to be razed in 1982, several of Varda's Sausalito friends raised funds to move the mosaic here. "They were going to crunch it and throw it away," said Foundation volunteer Susan Shea. "And the citizens of Sausalito got together and paid the money to have it hauled across the Golden Gate Bridge on a truck...it laid on its back for six years, then was raised again." Thanks to Paul Anderson, the Friends of the Sausalito Art Festival, and Sausalito Rotary, the mosaic was restored and permanently installed in the lawn area at the south end of Marinship Park, adjacent to the tennis courts. Recently the Sausalito Foundation took on the challenge of raising funds to restore the mosaic. In 2017, the 50th anniversary of San Francisco’s Summer of Love, Susan Shea threw a "Varda and the Summer of Love" festival to save this unique piece of public art. People turned out in 60s dress, and music was played by the Hippie Voices, a band led by Joe Tate, legendary leader of the waterfront pirate band The Redlegs back in Varda’s heyday. Today the non-profit Foundation is dedicated to supporting the artistic, cultural and historical heritage of Sausalito. So, the Varda mural project is a natural fit. Foundation President Sonja Hanson says that $12,000 has been raised so far, but at least $40,000 is needed to complete the restoration. If you’d like to help the Foundation reach its goal, you can make a check out to: Sausalito Foundation, with ‘Varda restoration’ in the memo field, and mail it to: Sausalito Foundation, PO Box 567, Sausalito, CA 94966.